how bad is this paint damage? hi folks - looking at purchasing a very low mileage '06 r53 (<~25k miles). interior is perfect, but the exterior has some issues that i wanted some advice on. There are a couple minor scratches that I can live with, but the three problem areas are the hood, the rear quarter panel, and the rear inside hatch. 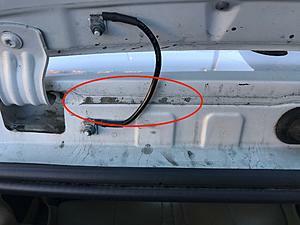 2) The inside rear hatch at the top has some paint that's peeling (See pics). 2) What might cause the damage on the hood/hatch and should those issues prevent me from moving forward with the purchase in general? 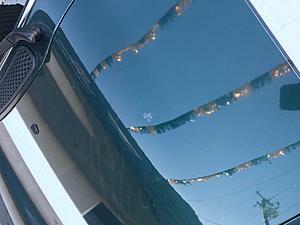 Without seeing the car in person, the hood likes it could be burned through from a bird crap or bug splat left too long. The white areas on the hatch look like the un-clear coated paint peeling off of the seam sealer and the quarter panel looks like it was keyed. They will possibly spot the base, then clear just area between the stripes on the hood. If they do this without removing the stripes if they're really cutting corners. The white on the hatch will probably be spotted since its in the jambs. On the quarter, they'll probably blend the base and clear the entire panel. The best thing would be to ask them how each area will be repaired and post their methods on here if you're unsure if it's a recommended procedure or not. I'd be suspicious of the mileage number. 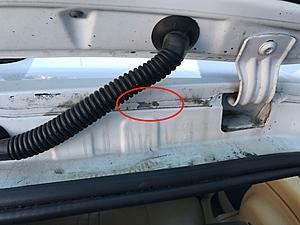 Also the paint inside the rear hatch? Are you getting a Pre Purchase Inspection? Looking for accident/rebuild? I'd have a hard time buying a car from a place with streamers! 1. the bonnet spot looks like a bird poop or sap issue and IMO you'd do more damage to the overall paint by trying to 'fix' .... get some good rubbing compound and you can significantly reduce this. awesome thanks for the responses folks. I'm going back to see the car this weekend and will ask for more details on how they plan to fix. I'll report back. Did you ever buy the car??? 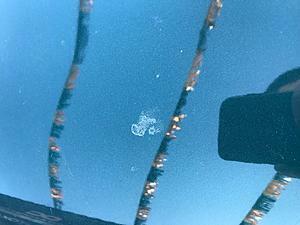 Mis-Matched Paint on 2009 Cooper - Accident Damage or Shoddy Workmanship? What would you do? 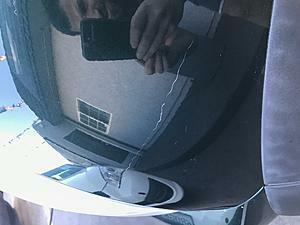 dealer paint damage. Removing factory bonnet stripes: Will this damage the paint? Quick Reply: how bad is this paint damage?